A bill intended to make audited agencies more responsive to recommendations by the state auditor’s office was heard by the Government, Military and Veterans Affairs Committee Jan. 19. 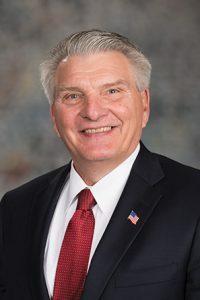 Under LB151, introduced by Sen. John Stinner of Gering, any entity subject to a comment or recommendation by the auditor of public accounts must electronically submit a written report detailing any corrective action it has taken or plans to take in response. The bill would require the agency to submit the report no more than six months after the comment or recommendation was issued. The auditor of public accounts would then evaluate the report and submit findings to the governor and the appropriate legislative committee. The bill also would require the auditor to deliver the report to the Legislature’s Appropriations Committee so that it could be entered into the record during the committee’s budget hearing process. Stinner said current law requires audited entities to work with the auditor of public accounts during the audit, but agencies sometimes disregard audit reports after completion. “It is my intent to ensure that there is a follow-up throughout this process to demonstrate what, if any, corrective actions are being taken to alleviate concerns raised throughout the audit,” he said. Russ Karpisek, legislative liaison for the auditor of public accounts, testified in support of the bill. He said many audit findings are not corrected from one audit to the next. 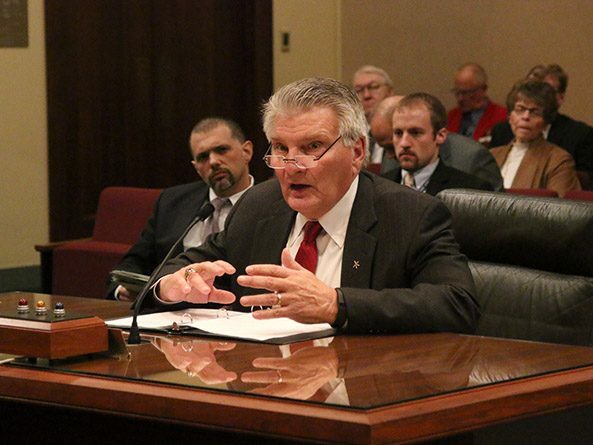 The proposed bill would encourage entities to take the auditor’s recommendations more seriously, he said, because it would give the Legislature—which approves state agencies’ budgets—a clear sign of whether an agency took corrective action. Carolyn Murphy, speaking on behalf of the Nebraska State College System, provided neutral testimony on the bill. She said the NSCS is concerned that the bill would repeal the current requirement that the auditor of public accounts conduct audits in a timely manner and in accordance with certain auditing standards. “Conducting audits in a timely manner is critical for the NSCS when there are federal and state requirements as well as bond covenants containing audit finding deadlines,” she said.